An ‘Outstanding’ result for Tops Day Nursery Mini Mariners in Taunton has been awarded by Ofsted after a recent inspection. According to the Ofsted report, the leadership and management of the provision is outstanding. Staff carry out extensive risk assessments and remove hazards promptly, whilst very skilfully enabling children to explore risks safely. The manager and staff follow excellent procedures their Safeguarding practice is effective. The report also noted that Tops staff have an outstanding knowledge of how children learn, especially in being able to identify babies’ and toddlers’ patterns of behaviour in learning. The staff also share this knowledge effectively with parents to enhance continued learning at home. Cheryl Hadland, founder of Tops Day Nurseries said: “I am extremely proud of the result for Tops Mini Mariners, the report is one of the most positive I have ever read! The Ofsted Inspector said: “Children have exceptional skills that prepare them extremely well for their next stage of learning and school. Older children know that staff value their ideas and opinions, and that there are times to listen and pay attention. All children are highly confident communicators. Babies are extremely inquisitive. 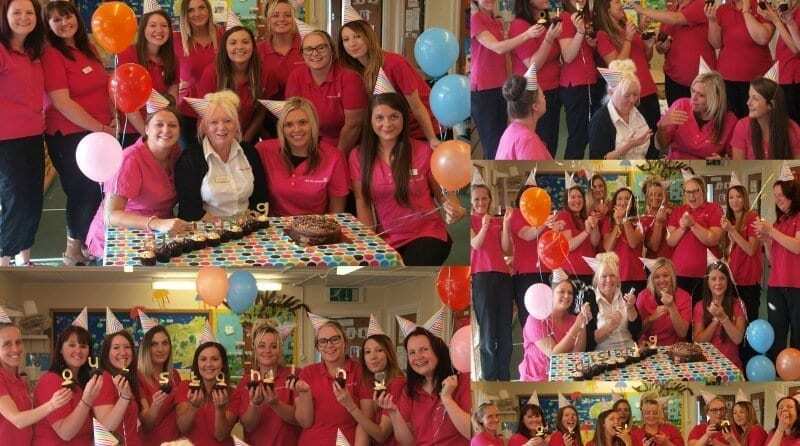 We would like to congratulate Tops Mini Mariners upon receiving their outstanding grade and thank all staff within the Tops Day Nurseries family for the wonderful care they put into practice each day. To view a copy of the report please click here.